Wealthy Affiliate is an online training program that focuses on teaching people how to make money as a blogger. Wealthy Affiliate was founded in 2005 by Carson Lim and Kyle Loudoun, two very successful bloggers. It claims that anyone can build a successful online business using its 4 steps training program. This training program has been going strong for years now. In 2019 the program has over 1 million active premium members training to become bloggers. The 4 steps are: choose an interest, build a website, get customers using Search Engine Optimization (SEO), and Make money. To help its members in building their online business from the ground up, the program provides members with access to free websites and hosting, free training lessons and free keyword tool, an important marketing tool for bloggers. If the statement above is true, then this is an amazing home based business opportunity that everyone should join the wealth affiliate if they want to create a successful online business. I have spent hours searching the internet to find out whether the above claims made by Wealthy Affiliate is true and it is a legitimate online opportunity worth investing time and money? However, all I can find is Wealthy Affiliate Review from member promoting and pushing people to buy into the program. None of those online wealthy affiliate reviews discuss the truth about the training program, and whether it really works. It likes a mystery that they want to hide from you. Every wealthy affiliate review promotes about themselves and how much they have earned as a member of Wealthy Affiliate. These reviews are useless, all I want is the truth. As a successful blogger, here’s my profile, I set out to investigate and write my own Wealthy Affiliate Review to discover the truth about the wealth affiliate training program. I want to know if the 4 steps to make money online works. I want to review all the training materials; the free website and all the online affiliate marketing tools offer by Wealthy Affiliate to help bloggers build a successful online business. I want to know the truth. This wealthy affiliate review is not one of those self-proclaim personal achievements. This review is about Wealthy Affiliate bold claims that they can teach people to turn any passion into a thriving business. I will put this affiliate program under the microscope and review all areas of its business. I will then present each business area in a separate report below. So you can make an informed business decision before joining the wealthy affiliate program. This section is a quick review of Wealthy Affiliate history, how it was created? Who are the owners? And What is the program status and influence in the making money online (MMO) industry today? I will provide an in-depth review of each topic. In 2005 by two bloggers Kyle Loudoun and Carson Kim had an idea to make money online by offering other bloggers a monthly list of valuable keywords in exchange for a subscription fee. In those days, keyword tool did not exist. Having access to a list of valuable keywords every month is a valuable asset for any blogger. Kyle and Carson set up their very first membership website to sell keywords list. They named the new online business, Wealthy Affiliate. For a fee of $29.99 a month, Wealthy Affiliate would provide members a keywords list every week. Carson and Kyle with a team of professional online entrepreneurs are the principal owners of Wealthy Affiliate. This group is considered experienced, knowledgeable, respectful, well-known successful bloggers in the making money online industry. They are actively assisting and training members every day inside the Wealthy Affiliate Community. You can meet and chat with them on the wealthy affiliate chat room anytime, both Carson and Kyle are also available. With a free account, anyone can ask them questions or concerns that they might have about the program Here is the direct links to both Carson and Kyle profiles if you want to contact them directly. Having access to professional coaches is the most important part of building a successful online business. Wealthy Affiliate offers this service to its members. These days, the wealthy affiliate has evolved into an incredible online training platform helping people to succeed in making money online as bloggers. The program now offers more than just keywords list. New member upon joining will receive free keyword tool for research, free websites with hosting and domain name service, free online training, and 24 hours support to help them build a successful online business. The cost is $0 for free members and $49.00 a month for premium members with discounts available. That is a quick review of the Wealthy Affiliate. Now, let explore in-depth the wealthy affiliate training program. I’ll discuss in detail the wealthy affiliate training program, especially the Wealthy Affiliate University and other affiliate marketing tools that the program offers to assist members in the process of building a blog site. I suggest you read the entire wealthy affiliate to fully understand the benefits and disadvantages of this training program. 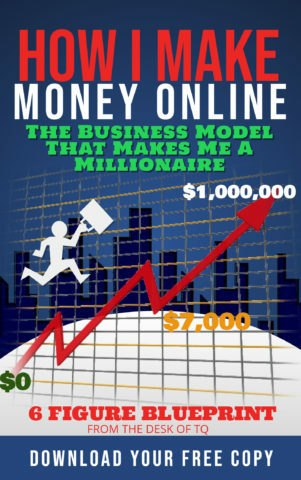 Wealthy Affiliate training model is based on the 4 steps to make money online for bloggers. This is the fundamental steps to build a successful blog business. It is a very simple, yet effective method to make money online. The training program starts with lessons on finding a niche business, build a business website, get ranked on search engines, then monetize, or make money from the website. Wealthy Affiliate training lessons are built around the four steps above. The company also provides online tools for members to practice and apply what they have learned from each lesson. Wealthy Affiliate believes that anyone whose master the 4 steps will be able to build a successful blog which thay can use to make money online. This is the truth! The most famous social media influencer/blogger that has effectively used the 4 steps to make millions online is Tai Lopez. This university is a training community of wealthy affiliate. Its purpose is to teach members how to create a successful blog site. The training program, Online Entrepreneurship Certification, consists of 5 levels. The first level gives new members an introduction to the process of making money online, while the other 4 levels consist of comprehensive lessons teaching every aspect of building a blog. Level one, 10 Free Lessons, is given out to all members. To participate in these free training lessons, you just need to register for a free membership account, no payment or address is required. These lessons are designed to introduce new members to the process of making money online as a blogger, as well as giving them the foundation for the next advance training levels. The reason the wealthy affiliate offers free lessons to new members because they understand not everyone will be able to complete the program. This is true. Yes, many people dream of becoming a millionaire, but not many willing to put in the times and works to achieve this dream. The online business is for serious people, not for dreamers and talkers. I understand the university decision to weave out the non-committed because these people will quit and never be able to achieve anything. This is smart! Building an online business requires lots of digital tools, from setting up a blog site, promoting it, then monetizing the blog. Wealthy Affiliate offers members all the online tools necessary to build a successful blog to operate an affiliate marketing business. These are tools available to all wealthy affiliate members. You need a website to have an online business. A working bog site requires the following components: website hosting and domain name. 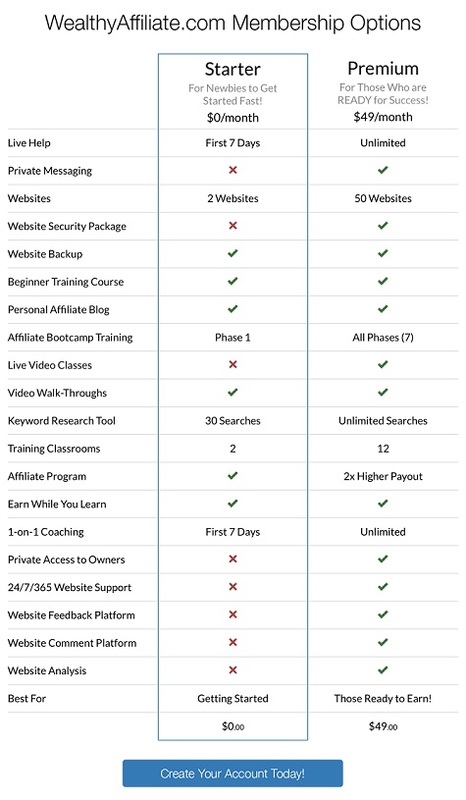 Wealthy Affiliate currently offers all these services to its members. Wealthy Affiliate is a one-stop shop for members to easily set up a blog website. When you register with Wealthy Affiliate, setting up a business website is easy because everything tools are in one place. You do not need to find a separate web hosting and domain providers. Everything can be done inside the wealthy affiliate with a few clicks of the mouse. It takes less than 1 minute to set up a business website with wealthy affiliate SiteRubix WordPress Webhosting platform. I include a demonstration video below. Digital advertisers and affiliate marketers rely on keywords to create website contents and online marketing materials. Keywords is a search term, word or phrase, that people enter into the Google search box, or search engine box to find information on the internet. If you want people to find your blog, you must incorporate keywords into your contents. This is the only way for search engines to find and present your websites to searchers in the search result page. Keyword tool is used to find and identify the search terms that people used to find information online. It is the first step in creating ranking internet content. There are many keyword tools available online for a monthly fee of up to $59. As a member of the wealthy affiliate training program, you have FREE access to a keyword tool called Jaaxy. Free members got 30 free searches a month, while premium members receive unlimited access to this keyword tool. Keyword tool is a must-have tool for all bloggers if they want to create ranking contents for people to find on the internet. You can try wealth affiliate free keyword tool below. Having free access to all online tools necessary to set up an online business in one place, at Wealthy Affiliate, is a big advantage. You save both time and money as a member of the wealthy affiliate. Utilizing a one-stop shop to start a blog site is a smart move that everyone must consider. You can learn more about this training program by reading this wealthy university review. Wealthy affiliate offers two types of membership, Free member and Premium member. The differences between these types of membership are benefits. You can compare the benefits using the attached picture. Below is a full review of wealthy affiliate membership. It includes cost and discount strategies that you must read if you don’t want to pay the full price for the training. The cost to join the wealthy affiliate training program is $0 (FREE). 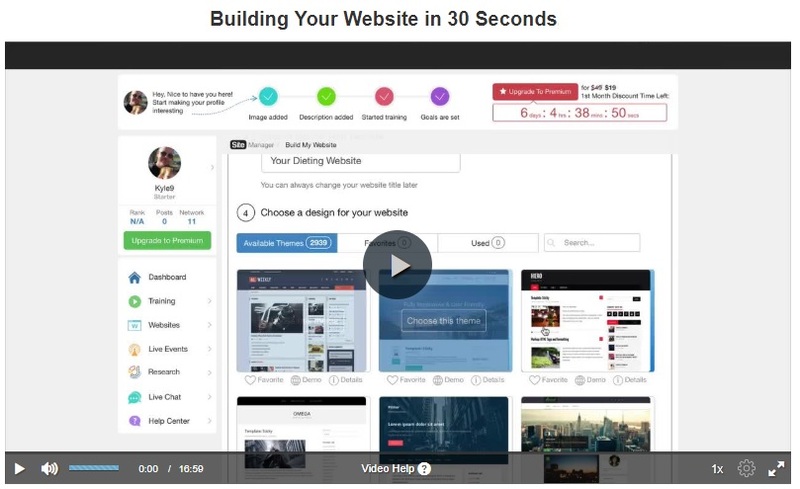 All free members get 2 free websites, 10 training lessons, and a free keyword tool. This gets you to start and set up your online business. Many new members come into the program as free members. I think this is a smart strategy because you want to try before you buy. The wealthy affiliate does not require your payment or address information to start as a free member. One unique feature about wealthy affiliate free membership, it does not expire. Unlike other programs where free trial membership expired in 30 days, this free membership never expires. You can stay free as long as you like. There is no pressure to upgrade or upsell. You are free to promote or do whatever you want with your blog. Most current paid members of wealthy started out as a free member, built their blog on the free websites and training lessons, and did not go premium until their business make enough money to pay for the premium membership. Wealthy affiliate calls this earn while you learn. You can start an online business with no investment. This is how I build my online business. Premium membership offers you much more benefits. It starts with 50 websites, unlimited usages of the keyword tool and full access to all lived and online video training lessons. People have money, or willing to invest a little to start up their online business will quickly sign up for premium memberships. There are many big advantages of going premium. You make money much faster with a higher commission for affiliate referrals. A premium member with 50 business websites has a larger and bigger market reach than a free member with only 2 working blog websites. Premium members have access to live and up to date training lessons which give them all current online business trends and strategies to promote their blog more efficient and effective. Wealthy affiliate premium program will help speed up the process of making money online. This is the biggest difference between free and paid member. If you can afford a small startup cost, go premium. If not, enjoy as a free member until you can move up. You can make money by promoting the wealthy affiliate the program, but it is not required. Free member can earn a commission for promoting the wealthy affiliate training program. below is the commission rate for both free and premium members. However, Wealthy Affiliate is a training community. Your earning or compensation is entirely up to you. Some business owners take a salary, while others reinvest into their online business. No one will tell you how much to pay yourself, only you as a business owner decides the amount of money that you want to take home. A better way to measure the wealthy affiliate program is through its success rate. The current failure rate of all internet startups is more than 90% (ninety percent) and most quitted within the first 120 (one hundred twenty) days. From my understanding, most or all wealthy affiliate paid members do not quit within the first 120 days. This is because of the free membership option which new member can test out the program first before setting up to launch a business. This training is not one of those get-rich-quick affiliate schemes. A person without commitment will quit at the moment of the slightest challenge, even if you pay them to start a business. I hope you are not one of them. Personal testimonials are by far the most accurate method to provide readers with an overview of the wealthy affiliate success. It also presents a strong warning if there is no success story exist within the program. Business success requires two elements: the owners’ commitment and the training program available to assist them in building a successful business. I have gathered a collection of stories from a few wealthy affiliate success members to present you with this wealthy affiliate review. This is the mystery that not available in other online reviews, follow this link to read the wealthy affiliate success report. An honest review must have a customers’ complaints section to be completed. My Wealth Affiliate Scam report gets the most views from all other reviews. We are at the moment in this wealthy affiliate review that I must present to you a full complaint report on wealthy affiliate which will highly all major complaints or problems that this program is currently facing, including lawsuits, membership disagreements, monthly fee refund complaints, problem with membership terminations, and other business practices that create an unhappy environment within the wealthy affiliate community. These problems are present to you in the wealth affiliate scam complaints report. It is too long to include the entire report in this wealthy affiliate review. I suggest you click on the link above to investigate further. Personally, I can tell you that most of the BBB complaints or problems against Wealthy Affiliate are common everyday business activities. However, I recommend you review the complaints report before joining the wealthy affiliate program. It can help you to avoid any potential problem in the future, and if there is one arise, it gives you an idea on how to resolve the issues in your favor. I have written a survival guide for those decided to join Wealthy Affiliate. It is a collection of tips and tricks from successful wealthy affiliate members to help you successfully making money online with the program. I strongly recommend reading this wealthy affiliate survival guide before registering as a free member. This wealth affiliate survival guide provides a roadmap for this training program and all necessary steps you need to perform to maximize your earning potential as you build out your blog. You will find valuable advice and instructions from experienced and successful wealthy affiliate members in this report. These advices are not from the wealthy affiliate program, and you will not find this anywhere online. Read and bookmark this wealthy affiliate survival guide because you will need it as a reference in the future after you sign up with Wealthy Affiliate. This concludes my Wealthy Affiliate Review. This wealthy affiliate review is not a personal achievement or personal glory story. It is a complete review of Wealthy Affiliate training model to help you in the process of making a decision to join this training the program. Wealthy Affiliate is not an affiliate marketing program. Wealthy Affiliate is an online training platform teaching people to become bloggers and make money through affiliate marketing. The training program is designed based on the fundamental 4 Steps to Make Money Online. These fundamental steps are the foundation of all successful online businesses. The 4 steps are: identify a profitable niche market, build a business website, promote the blog site using digital marketing techniques known as SEO, last make money through website monetization. Wealthy Affiliate claim that they can teach anyone to build a successful online business is true. If you understand and master the 4 steps of business startup development, you can basically build any business. It doesn’t have to be online. For anyone thinking about starting an online business, I suggest signup for the 10 FREE TRAINING LESSONS from the wealthy affiliate. I have taken these free lessons, and I can tell you they are perfect for beginners to learn the foundation of online business. After this wealthy affiliate review, I start recommending this FREE TRAINING PROGRAM to anyone looking for ways to make money online, either full-time or part-time. WHY? Because it’s FREE. Why pay when you can train for free? I’m not sure where you get 59 FREE websites from? It is 25 sub-domains and 25 domains that you own. These are hosted and are not free – it’s part of the $49 that it costs you per month. I also don’t know so much about the 24-hour coaching. If you’re referring to the LiveChat feature that is only available to premium members then I need to inform you that this is chit-chat. It is certainly not coaching. Thank you for confirming my fact. I stated clearly in my post is 50 Free website as a premium member. I don’t know where you got 59, maybe from another online reviewer. You might not know that most of the online training programs charge the premium fee plus another fee for web hosting. Sometimes, they don’t even provide website hosting at all. If you know of any affiliate training program that offers a free web hosting, please let me know. Wealthy Affiliate does give you free hosting for free member. 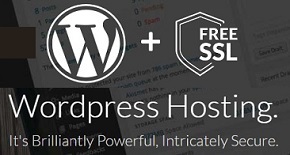 You should Click here to register for a free account, then contact me and I will show you how do set up your free WordPress website without paying anything. On support, YES, I do mean 24 hours support with coaching. I don’t know why you changed my words around. I am 100% sure support at Wealthy Affiliate is 24/7. I have used this services a few time at 2:00 am in the morning. Can you tell me a training program online that gives you free coaching? Have you ever try to contact your sponsor or Kyle and Carson for coaching? If you are join Wealthy Affiliate through this link, Click here to register, I will coach you. The Chat Room is for you to network with other members. It is not for support or one-on-one coaching. You need to contact the right people. If you have not registered, then Click here to register under my team and I will make sure you get the support and coaching that you need. If you already a member, you need to contact support if you need technical help and contact your sponsor or kyle if you need feedback and advice on building your online business. It seems to me that you do not fully understand how to use the Wealthy Affiliate training program correctly. Contact me and I will be more than happy to guide you in the right direction.